Put yourself in the limelight, and grab the attention of passersby with professional 3D rendering design and print graphic design in Vegas, Nevada that are attractive and informative. Capital Exhibits has been providing 3D design and graphic design services since 1994 and would love to partner with your Carson City, Las Vegas, Henderson, North Las Vegas 89119, 89109, Reno or Sparks, Nevada, business. If you are in need of a rush service for your next 3D design or print design count on Capital Exhibits for a professional and quick turn-around-time. 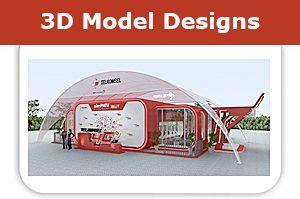 One graphic designer might find it difficult to come up with entire trade show booth concepts on his or her own. From backdrops and table drapes to tee shirt design and technology, there are endless options for presenting your brand at an industry event. Count on the team with a background in business 3D rendering design, graphic design to develop and manufacture a durable, aesthetically-pleasing and affordable exhibition and fair graphic design package. Better yet, the time we take to understand your unique message means you’ll benefit from the best graphic design idea for your specific vision. We begin by selecting the size of your graphic design images and advertising and providing graphic design quotes and rates. Whether you want something that fits easily on a tabletop or takes up 50 or more feet, we have the capabilities to accommodate you. Next, we’ll talk about the style you want. 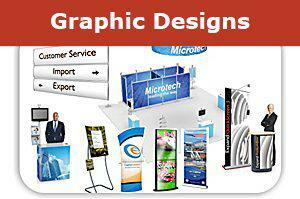 Choose from indoor or outdoor displays, banners, modular, tension fabric, kiosks, truss displays, hybrids and more. Finally, determine if you’d like to include accessories such as tablecloths and drapes, lights, literature racks, cases, flooring and hung signs. In addition to our top notch creative, graphic art design services, Capital Exhibits concentrates on speed and affordability. As soon as we discuss your branding design and get to work, we work to deliver the finished product within a matter of days. Your graphic design pricing includes our commitment to getting your order to you, when you need it and for the price you deserve. As a leader among professional graphic design firms, Capital Exhibits performs the majority of work in-house. This helps us to streamline the process and keep costs low, which in turn means better service for you. It’s also better for staying in communication throughout the duration of the project, and handling changes and challenges. For those who want to hire a 3D rendering designer, graphic designer but have limited budget, space and time, our rental trade show graphic design displays are an excellent option. This allows for minimal investment, but all the benefits of our graphic design trends and techniques. Get in touch with Capital Exhibits when you need contemporary graphic designers who know how to Build Your Best Image. We are passionate about what we do and look forward to working with your Carson City, Las Vegas, Henderson, North Las Vegas, Reno or Sparks, Nevada, company. Call today!